New residential enclaves of this stature, along the California coast, are precious and few. 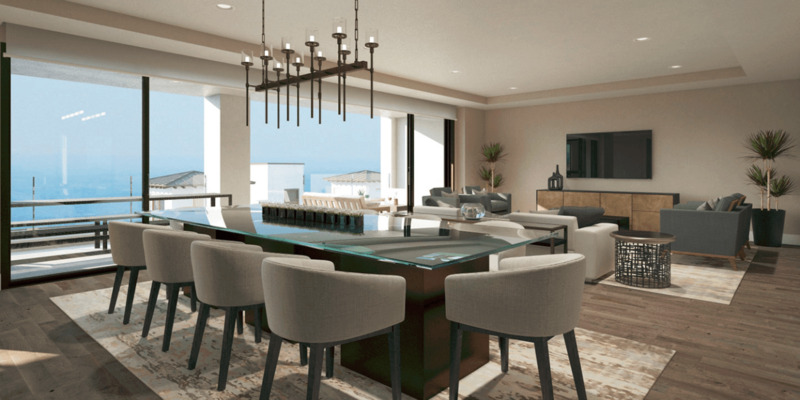 One Coast takes full advantage of this extraordinary opportunity by creating spacious, thoughtful, luxurious residences as beautiful as their surroundings. Located on a bluff at the iconic intersection of Sunset Boulevard and Pacific Coast Highway in Pacific Palisades, this limited collection of 53 townhomes and single-level flats will offer up to 4,986 sq. ft. of living space with up to 5 bedrooms and 5.5 baths. The modern-designed residences are oriented towards the ocean to maximize dramatic coastal views. The community is also surrounded by the natural beauty of local beaches, canyons, mesas, mountains and parks in every direction. One Coast represents perhaps the ideal opportunity to “move down” from the larger residence, or live it up with a “lock and leave” lifestyle that requires little maintenance of the home and offers sophisticated and modern design appointments. Live in harmony with the sea, in the beauty of your surroundings, in the way few others ever will.